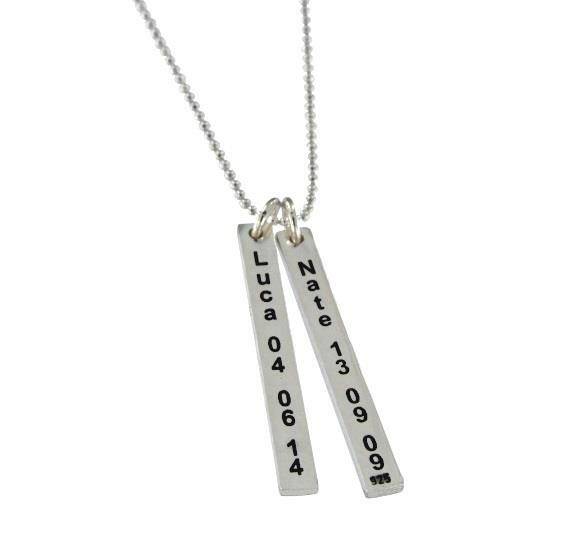 Engraved slim tags and ball chain. 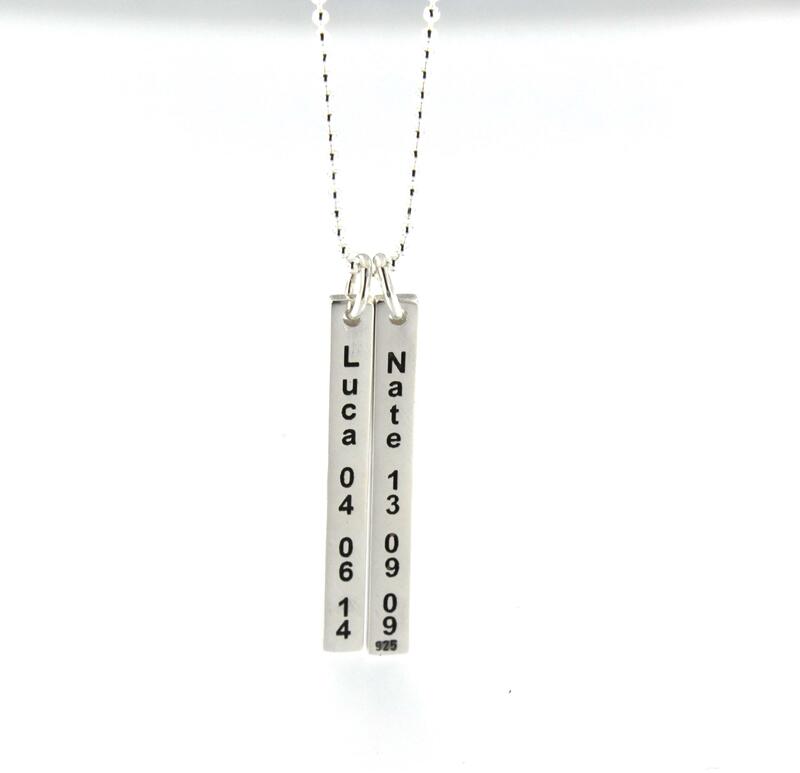 This is for two tags and a sterling silver ball chain. 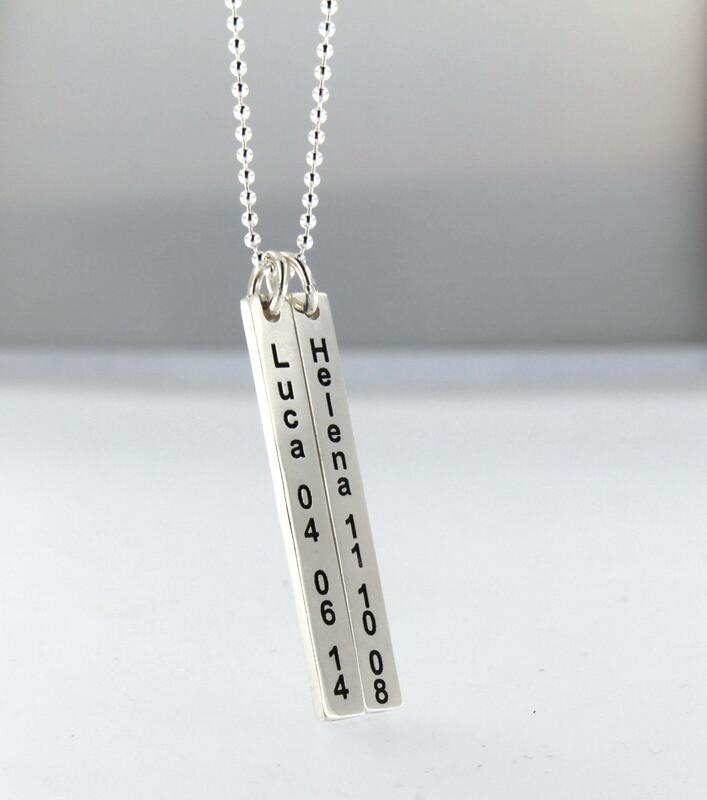 the tags are slim and the chain is a slim 1.5mm 65cms ball chain. This is a set of two slim tags with the lettering going downwards. Both sides can be engraved. Dimensions: 3.5cm long , 2mm thick and 4mm wide. Chains : Comes with a 65cms fine sterling silver ball chain as seen in the image. Ordering Process: Once your order is completed and placed online you can track the progression of your order by logging in to your account and viewing details of your order. If you need this by a certain date please let us know when checking out. Hi, I wish to say a big "Thank You". I have just received my order on time and it is beautiful. Thank you for your wonderful customer service and I look forward to shopping with you again. You have a wonderful selection of gifts. Our products have a Workmanship and Customer satisfaction guarantee.